There's nothing like a good form factor battle to get a market going. I'm not sure if it's just confirmation bias on my part, or the wearables market really is the hottest and most exciting tech trend since the introduction of the white iPhone. Wearables-related headlines are all over the place, from popular tech blogs to all the major business magazines like Forbes (which often indicates the peak of hype). I'm still an agnostic coward when it comes to predicting the future of these gadgets. I don't see any network effect yet, and I don't know one single person who wears one, even though I know people who work for companies which make these. Let's face it: the market still needs a poster child. And some killer apps. And, of course, a decisive form factor. So, Samsung has their square Gear, but Samsung is one company they never met a platform or a form factor they didn't like. No company spreads the risk like Samsung. There is little doubt that Samsung would love to corner the market on smart watches. Don't like square wear? It looks like Samsung is getting ready to make a profound turnaround in smart watches. 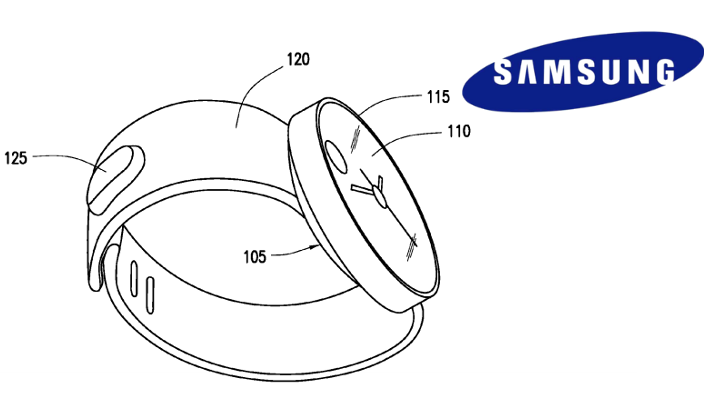 Did Samsung just re-invent the circular smart watch?